Tired of all the stress and hard work which come with Christmas, and just want to enjoy the good times and the festivities? A Christmas cruise could be a perfect alternative to arguing with the in-laws and struggling to set the Christmas pud on fire. Here, we select our five favourite Christmas cruises for seasonal sailing and yuletide celebrations. Celebrate Christmas and New Year with the timeless sophistication of P&O Cruises, on the Canary Islands cruise aboard the Oceana. Departing Southampton on 21 December for a two week cruise, the itinerary includes visits to Lanzarote, Gran Canaria and Tenerife as well as tours to Morocco and the volcanic Portuguese island of Madeira. 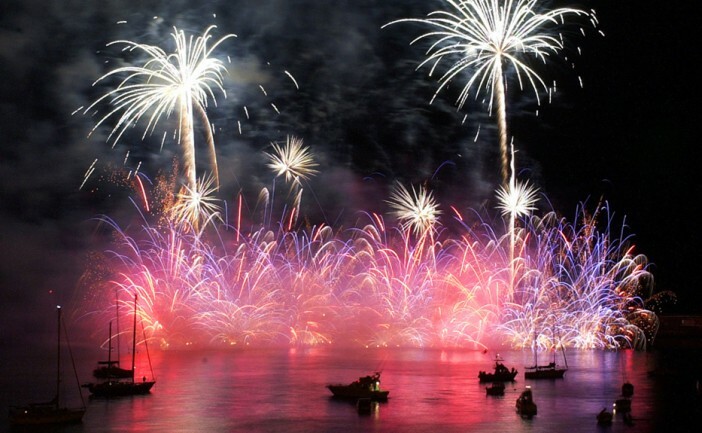 The overnight stay in Madeira takes place on New Year’s Eve, so you’ll have the chance to enjoy the famous waterfront fireworks celebrations in the capital city, Funchal. 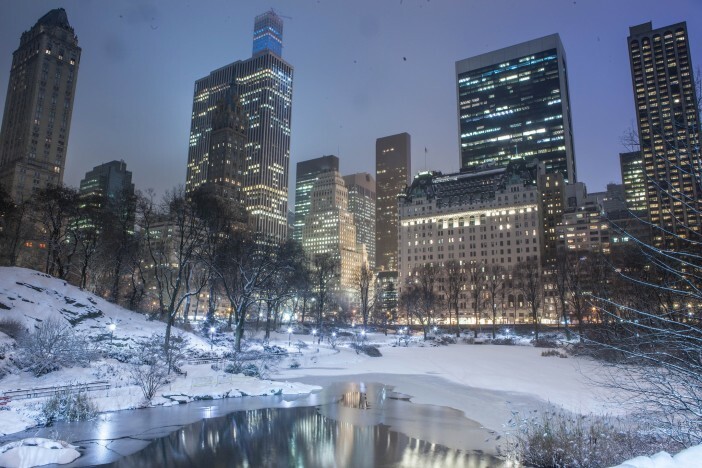 New York becomes something of a Christmas paradise during the month of December, with traditional snowfalls and some of the world’s largest department stores trying to outdo one another. This cruise gives passengers the chance to soak up the atmosphere of the Big Apple before boarding the stunning, iconic Queen Mary 2 on a 19 night cruise to Southampton. The QM2 immediately heads south towards the islands of the Caribbean, visiting the US Virgin Islands, St Lucia and St Kitts & Nevis. 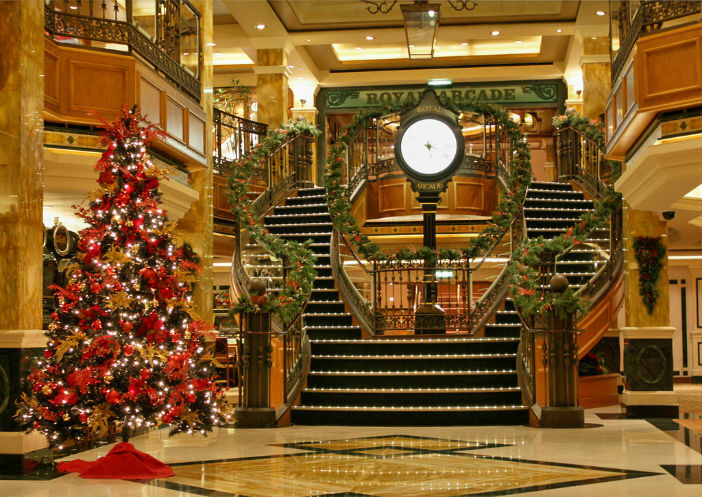 The ship spends Christmas Day at sea, providing effortlessly elegant surroundings for the special day. Experience how the beautiful cities along the Mediterranean celebrate the festivities aboard the Norwegian Epic. Visiting Barcelona, Rome, Naples and Palma; the itinerary explores some of the most distinct and unique cultures of Europe. 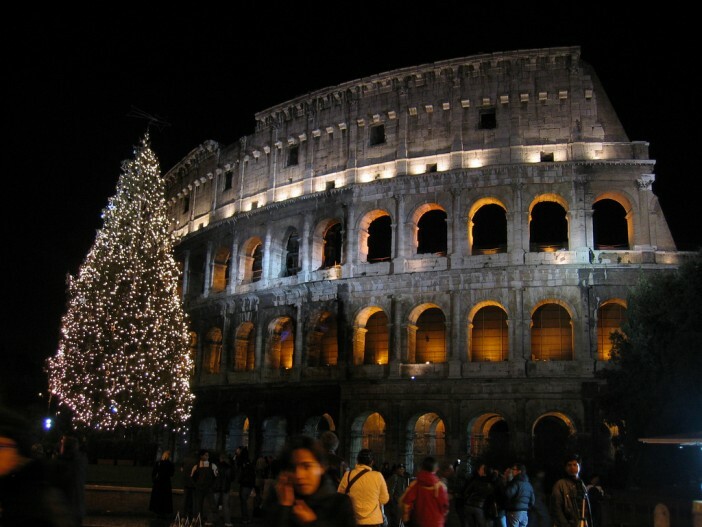 The roundtrip from Barcelona leaves the Catalan capital on 19 December, spending Christmas Day at Sea and New Year’s Eve at the historic site of Pompeii. At the complete opposite end of the scale to a cosy, snow-capped family Christmas celebration, Royal Caribbean offer this cruise around the beautiful islands of the Caribbean aboard the world’s largest cruise ship, Allure of the Seas. The roundtrip from Fort Lauderdale, Florida takes in the Bahamas, US Virgin Islands and St Maarten as part of the seven day itinerary. You’ll be spoiled for choice where to enjoy your Christmas dinner aboard the Allure of the Seas, with a wide range of dining options available – from the traditional to the unusual. 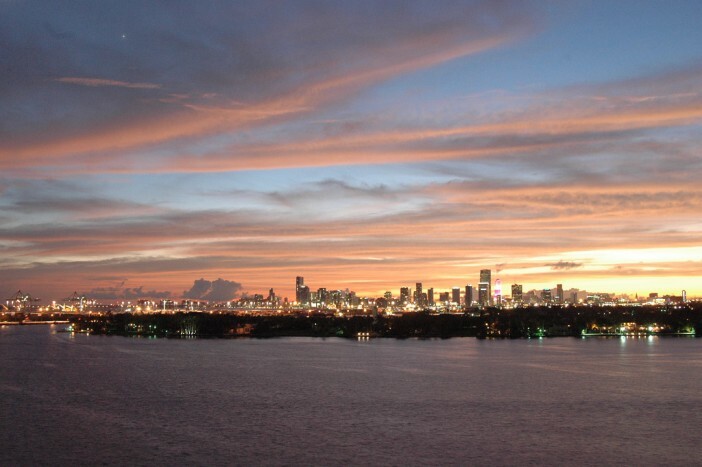 Arriving back in Florida on 27 December, you’ll also have chance to enjoy the New Year celebrations in Miami. The MSC Preziosa sets sail on a stunning tour of Southern Europe and Northern Africa on 20 December. Visiting four different countries during a roundtrip from the Italian city of Genoa; the cruise provides plenty of opportunities for passengers to explore new cultures in milder climates than those back home. 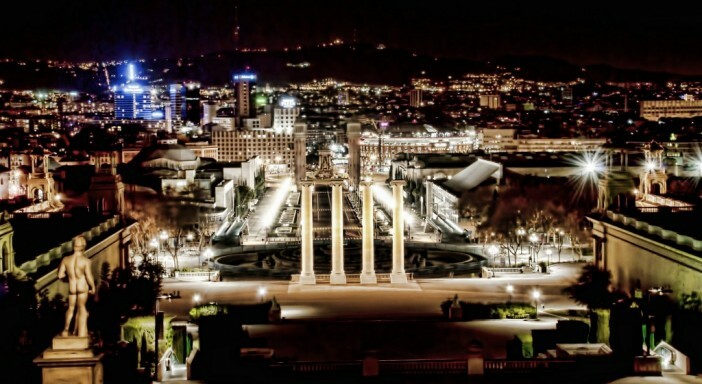 Passengers get the chance to spend Christmas Day in Barcelona, exploring the beautiful streets and endless dining options of the Catalan capital. Whether you’re looking for a Christmas cruise or a special trip during any time of the year, Cruise1st have thousands of fantastic, exclusive offers from all the major cruise lines. For a full range of deals, visit our homepage and use the simple search tool or call our dedicated team on 0808 274 6777.